NEWOLDSTAMP is a tool designed for creating email signatures and utilizing them as a new marketing channel that is affordable for professionals and businesses. "Makes our company emails look professional"
Creating the standardized signatures for our 25 employees was easy. Newoldstamps editor has excellent flexibility, so we customized signatures to meet our branding. I had no troubles with this at all. Then I just uploaded a file with employees contact details and system created a signature for them automatically. The rollout process is also simple. So, in general, it took me up to 10 minutes. I`m a fan of their support team. Helped with onboarding. "Increase receptivity by giving formality to emails!" Great software that improves the presentation of the emails sent giving formality and supporting the information, I love especially for my work in the area of ​​sales and Marketing because it creates a brand that allows me to be indetificado at all times thanks to security and formality that generates having a good signature, its adjustment is simple, it is an excellent tool that increases the receptivity between my contacts by accelerating the contact process and with it the volume of sales, insert sizes and colors to the letters as well as logo business giving better appearance to the information. I have no negative opinions to say about this application is a software that improves the appearance of the information sent giving formality. I recommend the use of this application for every professional who uses the e-mail every day to formalize the information sent generating peace of mind in the clients streamlines the process of being contacted, without any doubt it is an excellent tool for the business world and to get to call the attention allowing to stand out. I have been able to show a better image thanks to the design of formal signatures that give excellent visualization to the information sent allowing to be contacted quickly in addition to being able to insert social networks that do increase the visits and with this generate budget requests accelerating the sales process is a excellent platform of great utility for my work. "Signature designs that impact with this incredible tool, such as newoldstamp! " Newoldstamp is a super creative and novel way to design attractive and modern firms, with fresh but super professional designs. It is really easy to use, has an intuitive and easily adaptable platform which allows to be more agile when using it, newoldstamp offers varied templates, quite complete, formats, colors, boxes to insert accurate information about us and the organization, including we can insert an image, it's quite functional, we always use it. Until now I have not found anything that I do not like about newoldstamp, on the contrary it is a magnificent tool for the design of incredible digital signatures, that is why we always use it. For its great simplicity for the design of signatures, for the practical and functional that it is, its great breadth, because no matter the size of your organization, you can use newoldstamp even if you work in independent jobs. It is a free tool and is very complete, do not spend money on similar ones, newoldstamp fits perfectly to your requirements and fulfills its function. I like very much. Newoldstamp has had a positive impact on our organization, having already obtained many more clients who trust us, allowing us to develop and expand our client base and therefore increase sales. As a specialist in the sales area, it has been a great help, since it is important and necessary to have this new tool, it gives us professionalism, elegance, we really feel that we represent an organization, we get answers much faster and more precise. I like Newoldstamp a lot, I would not stop using it. What Email Signature solution do you use? "Great software that improves the appearance of emails!" Newoldstamp is a great ally to maintain an excellent visualization of emails through the design of quality signatures and simple processing, I love how easy it is to create sign with this application, insert letters and colors giving a better appearance also allows inserting links of business social networks and web page customers can enter increasing the interest in acquiring any of our products, this application gives formality and good image to my emails, does not require downloading just a simple registration is necessary. Since I use this Software for the design of signatures, it has not had any type of problem, it is quick to adjust and does not require much excellence to be used. This application is really worth trying, it is a great ally for all professionals who work every day in the use of electronic mail, it gives formality and can be contacted more easily, it is excellent for sales and marketing, I consider Newoldtamp to be very useful for any organization that will attract attention and highlight by designing an excellent signature. I have been able to call the attention of my clients through the excellent visualization of the emails sent, allowing me to be contacted with more rapids either via telephone, social networks or email, for my work in sales it is very useful to accelerate the sales process, to I have created a brand that identifies me, generating security and formality at first sight, improving the appearance of the emails sent. "Styles and simple formats for the design of digital signatures that impact! " I like to use newoldstamp since it is an easy tool to use and has a varied template with which we can design incredible digital signatures, easily and quickly. It has a free version, I think it is quite complete and functional, we can add color to the letters to make it stand out and add up a photograph or image. I really like newoldstamp, I always use it because it allows me to advance in my daily tasks, it's very good. Newoldstamp is a simple tool and allows us to create impressive designs of signatures, during its use I have not found anything that I do not like, on the contrary, it has brought us great benefits, we will continue using it for the multiple benefits we have achieved. This simple but valuable tool has great scope, is not limited to a specific field, group of people, sector or size of business, it is easy to use and adaptability, it has a free version so it becomes quite functional, with what it offers in that version is more than enough, once the signature is designed, you can associate it with your email account and modify it as many times as you wish. I like Newoldstamp a lot. With the use of newoldstamp we have obtained great benefits that have allowed us to grow and to be more effective in the processes. The signature design through this incredible tool is undoubtedly the touch we need to give strength, elegance and make us stand out. As a sales representative I must communicate with my clients through the use of email, the signature at the bottom of it, it generates confidence to the client, feels comfortable accepting our products and services, as well as, allows us to obtain more fast, saving a lot of time and being able to redistribute the tasks and meet all of them at the end of the day. It is gratifying to have such an incredible tool like newoldstamp. "Elegance and formality for my emails!" It gives formality to the emails sent in turn supports the information I love how simple it is to create signatures with Newoldstamp I can give color and size to the letters as well as insert social networks allowing clients to have access to the different social platforms what to fact that increases the interest in acquiring our services, accelerates the purchase process, for my work in sales this tool is very important because it has allowed me to make myself known by creating a brand that identifies me, does not require downloading its panel is easy to move , provides good image and formality. Newoldstamp perfectly fulfills its function, it is simple being able to create signatures in a matter of minutes without major effort it works without any type of problems. I believe that having a good firm is of great importance for any professional who seeks to attract the attention of their contacts with Newoldstamp is possible! It creates an identification mark without downloads and without major effort, formality and elegance is really worth it! It allows us to show good image at first sight, attracting the attention of clients and suppliers, accelerating their response through the security and professionalism that represents having a good signature, in turn allows to be contacted with greater ease without any doubt having a signature makes the difference especially in the world of sales allows to be identified and highlighted. "Great software to give formality to emails by designing signatures!" This application gives my emails formality and excellent visualization managing to attract the attention of the recipient being very useful in the sales process and Marketing accelerating the sales process through the formality and security that generates a good signature, I love it because its panel It is quite simple in addition to being able to visualize how the signature is left before being applied, insert colors and sizes to the letters, add business logo as well as social network links and website, increasing the number of visits in the different platforms, its adjustment is simple without loss of time in downloads other than other applications of the same category Newoldstamp is the one that best suits my needs. It is very useful in my work especially to give answers to clients and suppliers, making them stand out and be recognized, it works perfectly until the moment I have no complaints. I recommend the use of this application for all companies, I believe that a good firm is of vital importance in attracting customers Newoldstamp has everything is speed, formality and efficiency without major efforts! Give formality and life to my emails, support the information in a safe and harmonious way, and be able to attract more customers and be contacted with more rapids, accelerate the sales process, without a doubt having a good signature makes the difference especially in The world of business this application has everything to achieve the attention of the recipient in a way and without wasting time. "Incredible designs of digital signatures that impact!" Newoldstamp is an incredible tool that allows you to create fabulous signature designs in such a short time, it has an intuitive platform that makes your creation even easier, since it has a variety of formats and colors with which we can combine and develop a design that impacts, Inserting an image gives the extra touch of distinction and professionalism we need. I have it configured in my gmail email, which I use to communicate daily with my clients, work team and external, which has been very beneficial. I love newoldstamp. Newoldstamp is a very complete tool, I have not found anything that I do not like, on the contrary it has brought us great benefits, that's why we keep using it. The variety for the designs is enough to design an incredible signature and even more the ease and the little time it takes to develop it, it is surprising as with an application as simple as newoldstamp gives you so much power with just one signature, it is for that reason, because of the above, I highly recommend this incredible tool. Thanks to the incredible designs that can be achieved with the use of this valuable tool, we have been able to have many faster answers, in less time, because with newoldstamp our firm looks so professional and represents us as well as the organization. In the area where I perform, sales, it has been quite functional, the negotiations close much faster, the trust with the clients has grown favorably. My performance depends partly on the growth of the organization and at the same time I manage to develop and grow in it, thanks to newoldstamp we have obtained these great benefits. "Speed and professionalism with incredible designs of electronic signatures. " With this great application I have been able to design electronic signatures quickly and without any complexity, which I use daily, allowing in turn, the capture of more clients, timely responses that contribute to the decision-making process, by fresh but attractive designs , which makes them call attention and give him the touch of professionalism that is required. With newoldstamp I have not found anything that makes it disadvantageous or that I did not like, on the contrary, the benefits that have been obtained are really significant and it has allowed us to cover a lot more clients for the attractive signature design. The design of a signature that impacts is undoubtedly the main skill of newoldstamp, the simple way with which we can become experts in creative electronic signatures and without greater complexity, we can only achieve it with this incredible application, newoldstamp in quite complete by I advise you not to waste time and money on other similar tools, start using it now. By itself, the signature designs with newoldstamp have impacted everyone, which has allowed me to be much more productive, versatile, get answers from the work team, from clients, much faster, in less time, in this way I have been able complete all my daily tasks, serve a lot more clients than the ones scheduled, improving with it the flow of money as well as the fluidity of the processes thanks to newoldstamp. "Magnificent application for the creation of incredible signatures! " I like the easy and fast with what I can create signatures, it is a very friendly tool when using, has a variety of templates, letters, shapes and colors with which I can customize my signature, in turn, to add a photography to create more impact or draw attention, custom adjustments, I love newoldstamp. Its simplicity makes everything in this tool great, works perfectly, I have no objection or something bad to say about this great application, on the contrary, it has brought us great benefits, that is why we use it whenever we need to create signatures for the staff that is entering the organization again. Newoldstamp, is simple and easy to use, with which you can create incredible signatures, start using it, I highly recommend it, the benefits are incredible, do not waste more time and money, newoldstamp is the tool you need. It has allowed me to give a better projection in my profile with each email that was sent. Newoldstamp has allowed me to move quickly with the activities in the office. On a daily basis there are many sources of information that I receive from the different departments that require technical support, for this, it is necessary to document the process and perform the tasks quickly and efficiently, as well as provide immediate solutions. Thanks to Newoldstamp we receive immediate answers and provide quick solutions in the same way, we have also been able to quickly and easily design the signatures of the people who are employed in the organization, allowing us to save time and money in other similar applications and that do not comply with our needs. Thanks Newoldstamp. "Excellent Software for the design of business firms!" I love designing signatures that manage to attract the attention of clients and suppliers in a simple way. Newolstamp makes this process more practical, it helps to stand out among thousands, for my work in the sales area I have been very useful providing formality and good visualization of the emails sent in this way and managed to accelerate the customer response process, its adjustment is fast, it has several signature templates for its selection, it allows inserting links of social networks increasing the scope in the visualization of the offered services, undoubtedly a good firm makes the difference, favors good receptivity with customers provides security in turn allows highlight and make the contact process easier, allows inserting the business logo increasing good visualization, is an excellent ally of great utility to improve the appearance of the emails sent by formality, I love it because I can add colors or modify letters of letters without major effort managing to draw the attention of the recipient. It is a fairly simple software works without mishap provides formality and reflects security in turn allows to be contacted more quickly I have no complaints is an excellent ally for the sales and marketing area. I recommend the use of this software to increase the good visualization of the information sent reflecting security and formality in turn accelerates the customer's response process, allows inserting social networks, increasing the visualization of the services offered, is a great ally for the sales process and Marketing achieving a better receptivity and with it a greater scope, its adjustment is quite simple without downloads, I consider this software is very useful especially for people who for their daily work should constantly send information through the use of the electronic mail giving a good image and generating a better acceptance achieving highlighting among many contacts something that Marketing is very important. Can be contacted more quickly is an excellent ally in the sales and marketing process, provides formality to the emails sent showing excellent image at first sight which streamlines the customer response process, no doubt a good signature is very important everything when working with clients Newoldstamp makes the difference. "Fabulous tool for the creation and design of incredible signatures!" I am fascinated by the speed with which I can design my signature, besides that it is a super simple tool and does not require more knowledge in technology to use it, it has simple templates but enough to make the imagination fly and give it the ideal touch that we want to impact With every email we send, I really like newoldstamp. This application is simple but quite complete and fulfills its function perfectly, there is nothing I do not like about it, because, on the contrary, it has been very useful, it has added the touch I needed to the mail I sent, I like it very much and I would not stop using it. It adapts to any need and requirement, works perfectly for any area or business scale for which we play, use newoldstamp, is a giant step to creativity within the organization, in turn, customize a signature had never been so fast , once you start using newoldstamp, you will not want to try another one, so do not waste any more time and start using it. That my emails give the importance that I require is priceless, the speed with which I receive an answer in each of them is undoubtedly one of the great benefits that I have obtained thanks to the use of this excellent application, it is time saving is impressive , greater fluidity in information and efficiency in the execution of tasks. The impact generated by a large signature at the bottom of each email I send, is undoubtedly a point in my favor. "Amazing design tool and signature customization! " I like the simplicity and speed with which I can design my signature, it is a very intuitive tool and that does not require great technological experience for its use, it offers a varied template in which we can choose, size of letters, colors, formats and even insert a photo and give it the formal touch we want and adjust it to our needs. Everything about this application I like, I have nothing bad to say about it or negative, rather, it helped me to give it the touch I needed at the foot of the emails I sent, it's incredibly good, I like everything about it. Creating so quickly and easily has never been so simple, with newoldstamp, you will get an incredible presentation card at the foot of the emails, once you design your signature for the first time, you will want to use it always and implement it in your team. work or colleagues. Use this incredible tool and you will see the great benefits and positive changes that you will get quickly. Give the touch of professionalism and elegance that I require, has helped me stand out in my work and get more immediate answers to my requirements, because with this application, the design of the signature at the foot of my emails, gives some strength and power, allowing my work to run faster and the information flow thanks to Newoldstamp. "Extraordinary Software that provides formality in sending emails." Reflect Formality and good image at first sight of the client by designing well-structured signatures that favor the sending of information through email streamlining the response process in the recipient in turn allows inserting business social networks opting for a better visualization of the services offered, its adjustment is simple, it has templates of signatures to select, comfortable scroll panel, it is an excellent tool that favors the effective communication with the clients at the same time allows to highlight and give formality to the information. Software for the design of well structured signatures of easy handling and adjustment giving a good image to the sent emails, it works great being of great use in the Sales and Marketing area allowing to be contacted easily and highlight, I have no complaints about this application. a great tool of great utility. I recommend the use of Newoldstamp to improve the appearance in sending information to clients and suppliers showing good image and formality, a good signature accelerates the process of being contacted in addition to creating a reference at first sight in the quality of the service through the formality that generates a good signature, has signature selection templates, does not require download in addition to adjust without much effort, I consider this Software is very useful for all companies in the sending and receiving of emails especially for the sales area. It allows to capture a greater number of clients through the formality and good image that generates a good signature, to be contacted with greater ease and in turn streamlines the response of the client, in the sales area a good firm plays a very important role is the means to highlight and be contacted in addition to favoring the volume of sales thanks to the formality and security that reflects obtaining a greater scope. "Easy and Professional Signatures for your Business!" NewOldStamp adds a lot of value to my business. The setup is extremely quick and easy. My emails look professional and provide our clients another way to find/contact us easily. You can manage different departments of your business and keep track of all employee email signatures. You can even change the banners for every email signature anytime, with a click of a button. There are custom templates which allow you to design your signatures. It's a really great marketing tool. Overall the customization has enough templates to gain a certain look, however, I would like to see some more templates or customization features added in this area. If you are looking for custom email signatures for your business/team, this is a great solution. Often times an email is the first point of contact with our clients. NewOldStamp signatures help us convey our professional values and I highly recommend it. "NEWOLDSTAMP makes my email message look like a boss!! " I feel brave just putting myself out there like that. like I am not hiding behind some faux persona. What you see is what you get, you either do business with me or not. So far it is great. I have not come across things I do not like as yet. It does what it is designed and intended to do. I feel NEWOLDSTAMP is a fantastic way when you are sending out cold email messages to create a name/face connection. It also removes that step where people copy and paste your name onto social platforms just so they can have that reference of whom they are communicating with. I was amazed at how easy this was to set up. The interface is familiar from my basic use of other platforms (I'm not ultra design savvy), so the whole thing took moments to set up and looks fantastic. I'm really happy with it. The one thing I would expand is available fonts. I chose a specific font for my website...it would be super slick to be able to match it precisely right from the editor. I was happy to make a lifetime investment in something that could make me a little more excited about the emails I send out...the enjoyment of sending more attractive things with personality into the world is worth it. It's such a simple marketing piece. Not using it is like being in hiding...so many people (especially freelancers) are seeking visibility in complex ways, and sending all these emails to people tangential to their main business without simply activating their signature. Visibility is beneficial. "A professional signature I don't have to sweat over - at last"
I like that I can easily create a professional looking signature, save it, and use it from multiple computers. I'm very lazy. Before NewOldStamp my signature's were not consistent. Then if I bought a new machine I had to start over again. Not any more. I've been wanting to upgrade my email branding for a while but didn't want to hassle with the formatting and I'm too penny pinching to want to hire someone to do it. Actually there isn't anything I dislike. It does one thing easily, without complication. The pricing could be better but that's a small issue. If you are like me and struggle with creating a good looking and informative signature give this a try. As a small business that works with larger companies I want to present the best image possible. NewOldStamp makes it (almost) easy as pie. It is extra nice that I can tweak and refine the signature and header at will. I have gotten comments on how much nicer my eamils look. "At First Sceptical But It's Really Very Effective Every Business Needs NewOldStamp." Have you ever wondered if your email is creating the right impression or do you just look at email as being an alternative to text? .Well I did and a friend told me about NewOldStamp and since they had a deal at the time I thought why not give it whirl. What a great decision it was people who used to just used to ignore my email or at very least just reply with a couple of lines NOW CALL ME. Now I can convert more business and one of the first they say is I thought I call and ask you rather than email you. How cool is that? Probably there are a couple of things that could improve on NewOldStamp which I probably in the pipeline anyway 1) A live link to Facebook Messenger and also a few more variations of the header styles neither huge negatives but room for improvement. If you want more contact from your clients and to create a congruent professional image in all your email communications you should make the small investment in New Old Stamp it will pay for itself very quickly. What I notice with NOS is that I get more calls and even had a call from a supplier who wanted me to stock their products after purchasing something for my own use. As my business develops I expect a highly professional header to help encourage companies to either stock my products or allow me to sell theirs. This is far more likely when you provide all your important information in every communication. "Recommended and satisfying.. . I'm hard to satisfy on this sort of thing"
Looks professional. Lots of controls, very customizable. Doesn't give you options to make weird designs; I prefer that over something that allows you to produce eeky results. Templates =') -- makes it easier to start something. (Also, I haven't used analytics yet, but I assume I'll really like that thingie! =') Pricing is fair. It's not really a DISLIKE, but more like an UNDERSTANDING of a "feature". I may be wrong, but there are certain limitations to what you can do with designing your e-mail signature here. I'm a graphic designer, and I mostly want to have control over design; while their options have limitations, they're the sort that prevents non-experienced "designers" from making bad design choices. "NewOldStamp is an absolute no brainer!" NewOldStamp takes your boring, simple email signature and turns it into a bright, eye catching, power signature that can even work as a marketing tool. Every time I send an email I feel as if my company's brand is front and center along with my messages. And so, very importantly, it also serves as a reminder that before I hit "send" I need to make sure that all of the content in my emails is exactly what I want it to be. I don't need misrepresentations affecting the brand of my business. I don't usually say this in my reviews, but I can honestly say that there is nothing about NewOldStamp that I dislike. They do one thing, and they do it perfectly. If I absolutely HAD to pic something, it wouldn't be a problem with NewOldStamp, rather with older email solutions. One of my sales reps who works remotely doesn't use an email client, rather she logs into GoDaddy's webmail every time she wants to check her email (I know, I know...). So within GoDaddy's platform there is no way to have the signature automatically populate in every new outgoing email. To NewOldStamp's credit they did advise me on a workaround where a template can be created and all new emails can just be initiated from that template. Its an extra step, but hey it works. Buy it, use it, love it. It absolutely makes a difference every time you send an email. Very simple - before NewOldStamp my signature simply conveyed my name and contact information. My new signature conveys all of that but with a personal image of me, social media links and a banner with my company's logo and links back to our products. My emails have a truly personal touch and now they also work as a marketing tool as well. "Easy to use, with a professional look for our sales team"
My favorite feature by far is the linkable banner and the ability to edit, upload ONCE and know that your whole team's signature will be updated as well. The set-up is easy as well as the implementation. Tech savviness is not what our sales team is known for but they had no problem installing the signatures in Gmail. It also allows us to maintain consistency with our branding. Before using NEWOLDSTAMP everyone's signature was a bit different - either the font or the color - they all wanted to make it their own. But now I create the template and all the signatures are consistent, professional and drive traffic back to our website. Love it! The templates are all great, but I would like the ability to make little tweaks once we land on a template (move the logo up or down, add some spacers, etc.) but for the most part I'm really happy with the software. We purchased a license for 5 signatures on an AppSumo deal and I only wish I had purchased additional licenses! We're able to use our email signatures as a marketing tool by driving traffic back to our website or blog, depending on what we want to promote at any given time. The consistent branding across all employees is a huge benefit as well. "Professional signature made in minutes"
I like the easy way to set up a professional looking email signature. It looks great and I use Newoldstamp for my business signatures and have pimped my personal signature too. The option to use banners in the signature is great and gives a lot of options for the promotion of my business. The integration in Gmail is a peace of cake! It would be great if the signature would also work in my Gmail app. Now I have to send from my PC to use the signatures. I have set up all my business accounts in Gmail and login in the browser on mobile phone (it will work then) is too much of a fuzz. If you are looking for an easy way to set up a professional and great looking email signature for your business, Newoldstamp is the thing you want! For the price of $ 1 per week, you will receive a professional signature under every business e-mail, with a promotional banner with every e-mail you send. No need thinking about how to sign an email. I always have the same great looking professional email signature on every mail I send. All af my contact information is on every mail and the banner option gives me a place for publicity and promotions (CTA). Linking to my social media accounts with good looking icons in every email I send is also a great way to connect my customers and prospects to my social accounts. "I LOVE LOVE LOVE NEWOLDSTAMP!" What I like best about NewOldStamp is the ability to add Banners to your Signature Stamp. NewOldStamp comes with some nice banner templates that are already done for you, but I also LOVE the fact that you can upload your OWN CUSTOM BANNERS to any signature. This makes it a MUST HAVE for any business. It could use just a little bit more customization on certain ready made buttons, but thats really not a big issue at all. Besides this, it is really not anything at all that I can say that I dislike about NewOldStamp! I recommend that you give this a try. It's one of those tools that you may not even have known how much you need it until after you have used this for yourself. Trust me, you only need to use it one time and I know you will not want to be without it ever again. I am able to not only place a BEAUTIFUL ready made stamp inside of my emails without having to copy or write them same information over and over again. I also love the fact that you can easily update your stamp from within your dashboard and it will automatically update your stamp in most email platforms without you having to install your stamp again. I can add custom banners with even more links for marketing purposes. And perhaps one of the best features of all, is that you can send an invite to your sales team for them to create their own stamp. You can control how the stamps of your team will look at all times by setting certain permissions and pre-selected templates for the stamps that you allow your team to use. I like that Newoldstamp simplify and beautify my signature creation. Previously my email signature looked a bit messy and didn't look professional. One of my networking colleagues actually complimented my signature after I showed it to her. She was quite impressed! Overall, the product is great but I wish they had an option to remove an empty row under the phone and website details. On the dashboard it looks fine but when I use it as a signature in my Gmail account, it has an empty row. Doesn't look too obvious but it will make it better. If you are looking for something easy to implement for your email signature with lots of different options, you should get it. It solves simple but effective email signature creation. I wasn't too sure what format to use when I did it manually myself and how to make it look nice without occupying too much space. I am glad that there are many options available so I can just choose any format that I like. It is also very easy to add or change your details in the future whenever needed. "Simple to set up as well as install - Looks great"
I liked the fact that this was one of the few systems that really create a walk through that is not only simple but also works! Excellent. Installation is simple and guidelines are very good for all the varying platforms that are out there that you may use your signature with. The help / support was excellent, I only had to use it once so far however they were quick and totally resolved the issue. Trackable links are possible and this is all very useful for keeping your websites latest products linked and up to date. Not found any problems as yet - It is possible that there are scenarios where images are not shown by the receiver however thats not the problem of NewOldStamp and more to do with the settings on the phone or computer that the receiver is using themselves. If you are working with teams where updates to the signature that are important, this will be great for keeping your whole team up to date in one simple step by just changing the team signature. This is a very tidy feature but very useful for keeping them creating one corporate image which is often very difficult. Someone needs to keep an eye on the stats so you know what is working and what is not however that is the same with every product! I really like how easy it is to get it set up. Once you go in an select the settings for your business, you can have an email signature in 5 minutes or less. There isn't much that I dislike about NEWOLDSTAMP. If I had to pick something, I would say that you're locked into the format they provide and can't change the placement of elements (namely can't switch image from left side to right side, etc.). It is one of the easiest and most attractive options you can find on the market that will give you custom email signatures. The price is spot on for the features you are getting, and after using it for a little while, you'll be surprise why you didn't start using in sooner. Thank you to the NEWOLDSTAMP team for creating a product that is simple to use and creates custom, branded email signatures. 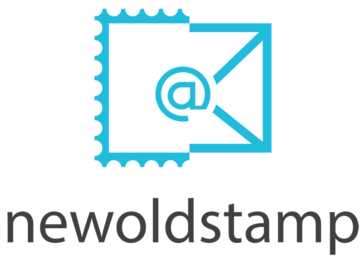 NEWOLDSTAMP helps me to look more professional and brand my email communication. "Incredible it has never been so easy to have such a professional personal signature." In general very satisfied, what I liked the most is the ease with which you can create infinities of professional firms. On the other hand the integration of the same in gmail, since the weight of the same or code weighs absolutely nothing, and therefore does not affect when you open to write an email, and you also rest assured that in no time you lose the visibility of your logo or photo, which is what happens most of the time when you create a signature manually or through other applications. Actually it has been difficult to find something I did not like about this application, although it is clear that you can always improve the product, but in my case the application has completely satisfied me and I am very happy with it. I would definitely recommend it to many people, who need to have a more than professional signature quickly. El problema principal resuelto e la posibilidad de crear de forma rápida cualquier tipo de firma para mi empresa y mis empleados, y que profesionalmente todas estas firmas tengan el mismo look and feel. Me he dado cuenta que una firma vale más que mil palabras cuando te presentas a tu cliente/colaborador, es igual que cuando entregues tu tarjeta de visitas, de hecho la mayoría de las personas que reciben nuestros correo, nos preguntan de como conseguimos hacer que estas firmas sean tan bonitas y profesionales. The layouts, templates, and custom email signatures are great. I love being able to have a banner to advertise a seasonal promo or evergreen product/service. The images really pop and add that touch of professionalism compared to text-based signatures. This is a must have for any business that wants their messages to be remembered, simply because visual email signatures are still relatively rare. I wish we could have animated gif as our pictures and change the banners to whatever image we want, rather than only picking from templates. 100% customization of the layout would be a much needed improvement as well. Definitely worth considering if you want cool templates! It's generally pretty intuitive, and the founder was upfront about the issues he was working on. I trust this will be a tool I use daily for years to come. It adds a touch of professionalism and makes emails memorable, rather than blend in with everyone else's bland, text-based emails. "The easiest way to look professional on every single email you send"
It's super easy to setup, no technical knowledge required to create great looking HTML signatures. I love the fact that I don't need to go and test on different browsers or email clients to make sure my signature looks good! On the old days I remember testing and tweaking the HTML code in order to look good on every single device, now everything just works! Entry level pricing could be tuned a bit more, that would make easier for recommending it to family and friends (not only business partners ). But really, if you have a business and you want to look profesional, this is the best option out there to make you look good with every single email you send. it's super easy to share all my social networks and any other special event (banners) using my super good-lookin' signatures, with every single email. Before that I had to think on different ways to promote all those different channels. Specially the banners I find them really useful, I really didn't had an option but to "spam" my customers sending different newsletters about an upcoming event, but know I can write about anything else and the banner does that job for me. "An excellent solution for signature management!" NewWorldStamp (NWS) gives me the ability to very quickly push out new signatures for my different businesses. This is great for many scenarios such as seasonal events and special promotions. After creating a template, you can adjust it to suit your needs. For instance I created a template then made a personal version when my picture and email and a support email with my support account picture. It makes the whole process very simple and quick. With a ton of options to choose from and the ability to add CTAs, it is easy to create eye catching signatures that help drive your business and brand forward. The most onerous task is having to copy and paste it into your email client, and saving it there. This, however, doesn't take that long or is that difficult to do. Email is my main form of communication and creating good, consistent branding in email is often an area that businesses fall down on. NWS enables me to quickly create excellent signatures with CTAs at their heart. "Easy way to manage signatures across all employees"
I like that it has good looking signatures that are easy to design, setup and deploy across your organization. It also makes it easy to maintain consistency across the company even when you are changing something as simple as a banner. This theoretically allows you to update banners for the holidays, special events or sales across your whole organization with just some simple clicks. I would like to see more flexibility in the design of the signatures, and being able to add more customized layouts or fields into the signature. You are a little bit limited in all the design layouts that are provided, however, this may be improved in the future. Its worth a try if you want good looking consistent signatures. Synchronizing signatures across the whole company and making it easy to update the signatures when needed. Newoldstamp has also made it easy to get new employees set up with a signature lightning quick, and for the employees to easily install the signature. The bottom line is getting nice signatures with negligible effort. I also like the analytics (how many recipients clicked on each of your social media icons). Installation was easy enough. Signatures are nicely configurable. The existing banners were enough for me, and you can always make your own. I don't dislike anything. Some additional features would be great though. It would be nice to be able to select one of several signatures within gmail. I'd also like to know if the email was opened. Yes, I know that wouldn't be reliable - some recipients will suppress image loads, and some will accidentally open an email. I'd like some clue nevertheless. It works well for me - and I've not tried alternatives. "Great tool to boost your signature impact"
It's so easy to create a beautiful, powerful and measurable signature. You don't have to know anything about code or HTML whatsoever. Now you can make your e-mail signature work for you, and in a fashion and professional way. The ability to create a banner with a specific purpose/ for a specific department, is really neat. The designer is very limited and the grouping is a bit confusing. The analytics are still very basic. It's a great product, very well thought, but that can refine itself in a big way. I guess the UX / UI could be more pleasant and more intuitive, perhaps somewhat more clean. This can be seen as a simple oppinion (that it is), but it could be simplified. For example, I don't understan/like the gradient on the e-mail "cards" way of showing them. the banners could be of more quality, but I guess they are just templates and I think when people have the ability to make their own, they should. If you would like to implement a simple, straightforward e-mail signature in your company, that can be easily implemented by anyone and that can be also easily customized and shared with the Departments and HR of all your company, this is a great solution. "Excellent Product (but still room to improve)"
The ease and simplicity at which we can create signatures for our team and then organize by department. Also, the ability to manage banner advertising from a centralized dashboard for our entire team is absolute gold! Finally, developer is willing to listen to feedback and has a great product roadmap. There are some basic (and essential) features that are still absent, for example, you cannot influence spacing between rows of text in the signature. Also, there are some quirky things with the admin, but nothing that is a deal-breaker...and soon becomes a non-issue once you start using it regularly. If this is within your price point, go for it! It simple to use, easy to implement, and the company is committed to giving you a great experience (and listening to feedback). The problem we are solving is reducing inefficiencies with client outreach. Being able to see who is clicking through on our socials and website is really useful in building effective outreach programs. "Simple to Use and Effective For Getting Leads"
I purchased Newoldstamp in the appsumo sale a few months back. It has been very useful to me. The banner feature where I can add banner ads about the latest services is quite effective. The interface is really simple to use. Once I create my signature I can directly add it to my email accounts from the website itself. The other good part is when I make some edits to the signature it gets automatically updated in my email accounts, so I don't have to do anything. The banner manager allows me to change the banners for all my emails automatically at once. I really did not know how effective email signatures are until I used this. I have recommended it to my friends too. I really wish there were more email templates for the business card. In the future, they should add more templates to be used. Use this tool if you do a lot of communication through email. The email signature in Gmail is the most underrated marketing tool. Many people found out about a lot of services I run through my signature and contacted me regarding it. I got a few leads through it. A lot of people are viewing my LinkedIn profile now. This is improving my LinkedIn search ranks too and I am getting contacted more through LinkedIn. I managed to cross-sell some services to 2 of my existing clients. My client was like "Oh, I did not know you also do web scraping until I saw your signature". That extended the services I provided to that client. "Finally, an easy to use + awesome email signature platform that works!" I love how easy it is to set up your email signature and how you get templates for structure but can customise it too. Plus it works every time. I have used platforms where the images don't load for clients or when we update an image, it doesn' show up. I have not had a single issue with New Old Stamp. You also get great analytics on what has been clicked, the views and break it down by week, month and year. This give us a great indication on whether or not our email signature is prime real estate for promotions. My favourite part of NewOldStamp is that you can create company template so that anyone who is created for that company must follow the brand guideline set by the team. So far, nothing. Potentially they could add a drag and dip builder component but all in all, it is a really great platform. If you are looking for an easy to use platform that works and makes your business look professional then New Old Stamp is for you. Our email signatures look professional across the team and we can promote offers and announcements easily. It really adds a great element to our email communications. I always get compliments from prospects and clients on our signature. "Has turned our email into a new marketing channel"
We'd always considered email signatures but it was one of those branding tasks that we never found time for. Previous attempts had resulted in weirdly-sized images (too large usually when viewed on the recipient's machine) or worse missing images which made the email footer look broken. Newoldstamp has got that initiative moving for us. It took minutes to set up the default email signature for the company and assign versions to us all. TBH we didn't really get why we would pay for this, but after setting everyone up and seeing the stats we were converts. We're looking forward to pushing banners and offers through the system next and really starting to use our email channel properly for the first time. If you are using email - then this product should be seriously considered. The relative cost compared to manually setting up and testing email footers is very fair. The main problem was finding the time to actually get this done - Newoldstamp has got us up and running remarkably quickly. It is very simple to use. The benefit is that we can now use our email channel - which goes out to current and new prospects to generate leads. It's made this channel far more effective. "Makes what must be the easiest and most neglected marketing method even easier"
It has a clean, simple interface with a good feature set and, importantly, is very easy to use. Newoldstamp makes it very quick and very easy to both create and manage professional looking email signatures. It also has a handy analytics feature to track the effectiveness of your signatures. Just a small dislike - I thought there'd be a bit more flexibility with the banners - no big deal but It would be nice to be able to edit the banners inside the program - could save a little more time with that option. Since it's a marketing tool it would also be nice to have some kind of split test and/or link rotator feature - maybe not useful to everybody but would definitely broaden the scope of application for the service. If yoúre not actively making use of your email signature as a marketing tool then this tool makes it very quick and easy to start doing so - you could be up and running literally within minutes. Depending on how many emails you send out each month this could be one of the cheapest forms of marketing for your company. I previously hadn't been utilizing email signatures as a marketing tool - well, I used to but then stopped some years ago - just never got around to recreating signatures etc and kept procrastinating over it until it ws forgotten - what a missed opportunity. "Effective and simple marketing instrument"
Newoldstamp is extremely simple to use, you can customize a lot of features in your email signature. I am also really impressed that changes take effect instantly, you are getting results from day one. Newoldstamp has a lot of templates, banner images, CTA and other. The support team is incredibly responsive as well. I would recomend it for everyone in sales, marketing, HR or customer services. Nothing that I can think of, this is really great product. Just one thing, I would like to have more custom features (for example to add 4 more icons for the same social network. I am instagram blogger and have a lot of different accounts and sometimes I want to be able to add all of them). It's definitely worth every cent! I would recommend it to anyone who wants to use all marketing channels. It is helping to promote content and reach more client. Excellent additional promoting channel. "Love Love Love New Old Stamp! Better than the competition!" Super simple to use, lots of great templates! Customization is a snap! I used a free version for signatures for years! This is well worth the investment to use their version. Most of my team is also in love with New Old Stamp! They like the way it works & the ease of using it. Can't think of anything! Haven't needed support yet, so not sure how good customer support is. I would like to be able to adjust the thickness of the verticle line in one signature. I may have just not figured out yet how to do that. The capability is probably there already, though! Don't Hesistate, this makes it so EASY to get a professional looking signature for your company branding. Also super simple to create and switch between multiple signatures, create banners, etc.! Small Price; Super benefits. You won't regret it! I was able to create a uniform look across 2 different departments! Looking forward to learning more about it and using the different features, switching signatures, including banners, etc.! My Marketing department is especially happy! "Instant Clout and Professional Standing"
How many times have you looked at someone's auto sig. and wondered "Is this a real business?" The wonderful thing about NEWOLDSTAMP is how easy it is to implement and the ongoing benefits it delivers. Such a simple thing to implement that pays such huge dividends. NEWOLDSTAMP helps create the perfect auto sig. that delivers professionalism with personality. I really wish I had discovered this sooner. I can't help but think about all those hours wasted trying to create a universal solution on Gmail, iPhone, and Outlook to simply look professional. I really can't fault these guys… They have thought of everything, and listen to their users to simply deliver what we want. Just get it - you can't go wrong. We no longer waste time letting one email though because I don't worry about it to friends and family… And then on the "important" ones try to type something up on the small screen of our iPhones so that it looks semi-professional. I just wanted a simple way to be consistent with my auto sig. when I write an email. Email is used in so many ways. To clarify what we spoke about, to prospect, or simply to write a thank you note. The auto sig. that represents me shouldn't look ultra-professional when using Outlook, and then suddenly the extreme of either text, or crazy HTML when using Gmail, and then the dreaded "sent using my iPhone" if someone hasn't bothered to set up anything at all. As soon as I implemented NEWOLDSTAMP, same auto sig. every time on every device delivering a consistent and professional touch that still has enough flexibility to accommodate my personality. "The app that everyone needs"
When we talk about apps, nobody thinks about one of the most important: your signature. When you find this app you think like: "Really? Why would I need a signature app? Well… if you thought the same, please take some minutes to read this! If you really want to take care of your brand or company, you want Newoldstamp, because the image of your company is always in that place that nobody thinks: your email. We in marketing receive always tons of messages, but you know that when you receive a signature with photo and a pretty good design, it can make an amazing difference. Another thing is that Newoldstamp let you add amazing banners which will change automatically if you do it in your dashboard. On the other hand, let's be honest, you have to track your email clicks and open rates. Newoldstamp, in addition to helping you get the customer's attention, will help you with amazing stats to improve your email engagement and conversions. The best part is that NOS is not expensive. I think is one of the most important investments that you can do for your site, company or brand. I'll make you look like a pro: You'll definitely love Newoldstamp! I would love to say that I dislike something, but to be honest, I really love it. It could maybe have banners in other languages, but it's solved! Create your own banners in your favorite app (Canvas, Design Wizard, Photoshop, Paint or Promo Republic) and you can upload in NOS. The most important thing that you have to think on is that you're competing with very large companies with tons of money in advertising and marketing and you really want to have a pro image. Let's say that your usual emails, your marketing emails, newsletters and sales emails are going to look amazing and will help you to convert even better. Don't lose this amazing opportunity. "Professional email signature - quick and easy to set up"
I was able to set up a professional looking email signature for my gmail account in less than 5 minutes using NEWOLDSTAMP. I didn't need to know how to design, fiddle around with any design tools - just picked a template, filled in the details and installed it. The private FB group is a great place to go for product support and connect with company reps and other users too. Integrating with convertkit so I could use the signature in my email newsletter required a bit of work understanding HTML/CSS code but I was able to work it out in less than 10 mins. Sign up for a free trial and experience how quick and easy this tool is to use for yourself. The tool makes having a clear and clickable visual call to action, as well as my photo, in my email signature a breeze to set up. Much more engaging than boring text only email signatures or poorly designed signatures. "A Great alternative to Wisestamp"
The price and the options. I have been paying for wisestamp for the past 3 years and it always annoys me when I have to renew. With Newoldstamp I got an amazing deal!! Another great thing about it is the ease of use. It's not like you have to figure out what you're doing. It's pretty intuitive and simple. I bet my 5 year old could make email signatures with how they've set their UI up...which to me is awesome. I don't want to spend a bunch of time learning something new. It can be buggy about 10% of the time but I normally refresh and it's perfect. Oh and sometimes when you are trying to fit the signature into certain programs it can be a little off. In all honesty, there's really not that much that I don't like. It's a great product at a great price and offers a great solution to what I was paying prior. I'd say to grab this while you can. You'll be kicking yourself if you don't They have definitely become a competitor in the market. This just makes my business email look more professional and gives me the option to share my latest blog posts, specials or videos. (I put those in the bottom of my signature) If you use this the right way you will be able to cross market your services. Any holiday specials you can add in. OH! And they have holiday banners you can add to your signature. That was a really cool option. "Think of it as a lead magnet for your email." NEWOLDSTAMP easily turns a boring text only email footer into a visually appealing clickable tool. The template library is a great way to test variations before implementing into your emails. Once you've finalized your design it can be saved and manipulated for other people and/or departments, as needed. In addition to adding your contact details, the banner function is excellent for promoting current offers or ANYTHING you'd like to steer prospects into. We easily implemented NEWOLDSTAMP into the email footers of gmail as well as our enterprise email service with no problems. There's really nothing to dislike. The service is pretty transparent. Anyone interested can sign up for a no obligation free trial. After that you need only decide on a plan that suits your needs. The service itself is brain dead simple to configure and implement into your email client. Your email signature can be changed as often as needed based on company/marketing needs. Give it a try via FREE trial. You won't regret it. One of the best things you can do for your business is to practice BRAND CONSISTENCY. Prior to email, people spent a great deal of time and effort customizing letterhead and envelopes so customers would receive a professional impression when opening their mail. NEWOLDSTAMP takes a modern approach on this by allowing you to professionally brand your emails with company logo, contact details and marketing banner, if desired. Making it easy to retain branding as reflected on company website, advertisements, etc. "A "nice touch" for your emails"
Newoldstamp moves the signature from info-only to a more active role - it presents the usual information (name, email, address, website etc.) in a beautiful way and then adds some bells & whistles in the form of photo/logo, banner with call-to-action. And tracks it all too. The final step of actually using the signature is easy for the main players eg. GMail, but it's a copy-and-paste operation elsewhere. Would like to be able to re-order some things eg. custom fields only display after the standard info. I have found that some services won't use the signature properly (eg. email automation like ActiveCampaign), but that's becase they are text-only and don't do HTML/code, so the groovy signature may not appear across all client touch-points. It's pretty straightforward and easy to implement. You'll probably need more signatures than you think though (eg. if you have more than one email address, or want to switch between different campaigns/promos). Addition of CTAs and attention-grabbing banners into the last thing people see (at the end of the email). Easy and quick way to improve the professional image of an organisation and its representative email accounts. I like the ease of use, I am able to add and change my email signature for different companies I own pretty easily. I am also able to switch up my signature with banners with is a great option. I also like that I didn't need much training to get up and running. I dislike that the company email uses up one of my signature credits, I would also love for there to be more formats available to choose from. or if the formats are limited then the ability to edit them so that the design and logo fit better would be great. it would be really nice to have improved design on the banners/font etc. It performs as it should and does what it's supposed to do. It's a great way of adding a professional touch to your emails. The easiest way to look more professional in your emails. Having a great email signature makes a difference for me in my business and helps distinguish me from a standard or no email signature. "Easy to setup and full of features"
I would like the option to have live content in the signature, eg. the latest blog post or changing quotes. It would be nice to have a banner creator within the app itself instead of designing externally and then uploading. You can try out the platform and create your signatures before upgrading to a paid plan. Test it out and see what you can create. I am now getting clickthroughs on the banners on my email signature which have turned into paying customer on a few occasions. The signatures also look much more professional and allow me to easily update them with the latest offerings /specials. "Finally, a signature block that makes my company look professional!" Newoldstamp is sharp and easy to implement. My team especially appreciates having the ability to direct people who receive our emails to our newsletters, and hyperlinks to download our newly released app (evox.life --shameless plug for our great lifestyle app) to the Play Store and App Store. The new signature block is a great tool to give customers/clients an easy way to be connected to whatever marketing we have going on and help direct them to take some actions. Definitely bring this product into your operations. There are a lot of great ways to implement marketing using newoldstamp. Visibility for our new app on Google Play and App Store AND directing traffic to our newsletter in hopes to get more subscribers. "Easy way to get more value from your time"
They have great templates that are easy to add your own branding to and great service too if you ever have an issue. I get compliment regularly from people who see my photo and layout of my signature. Being able to put a banner at the bottom and change it based on whatever is most important at the time allows you to sell without being pushy. I haven't found anything that I dislike yet. I guess I could get access to make thousands of signatures for different accounts on the cheapest plan, but that's not a fair dislike. It's a great value for what you get. It's worth using if you're looking for a more polished and professional signature that you can add banners and other fun items to. Our company's signature includes a photo, so it helps make more of a personal connection. If I've reached out to someone it's easy for them to find me at an event or recognize my face when they see me on a video. The most important thing for me is giving off a polished image, and NEWOLDSTAMP helps set our company apart from everyone else. * We monitor all NEWOLDSTAMP reviews to prevent fraudulent reviews and keep review quality high. We do not post reviews by company employees or direct competitors. Validated reviews require the user to submit a screenshot of the product containing their user ID, in order to verify a user is an actual user of the product. Hi there! Are you looking to implement a solution like NEWOLDSTAMP?